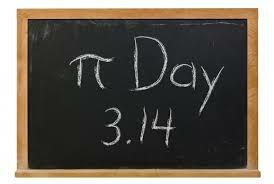 On this day, March 14 in 2015 the first ten digits of Pi are reflected in the date and time…down to the hour minute and second…The first five digits of the mathematical constant pi: 3.141592653. The best times to celebrate are at 9:26 and 53 seconds, morning and evening. The next time that happens is in March 2115.